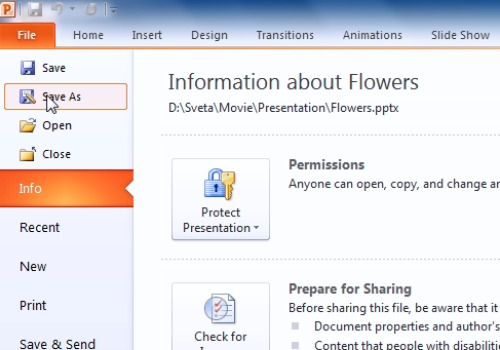 In this video tutorial we will show you how to convert PowerPoint presentation to PDF. Launch the PowerPoint and open the previously prepared presentation file. Select “File” tab and click on the “Save As” button. When the dialog box appears select the directory where you want to save the converted file, then type the file name. Select the PDF file type from the “Save as type” drop down list. Tick in the “Open file after publishing”, checkbox. Then click the “Save” button. 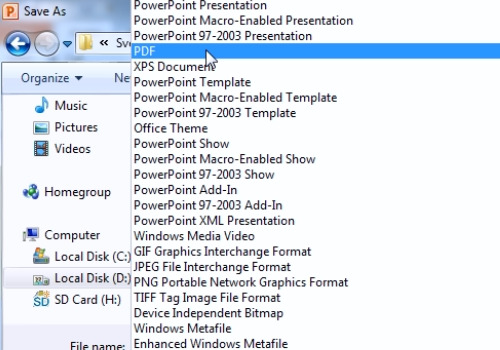 The PDF version of your presentation will be saved in the selected directory and the file can be opened.